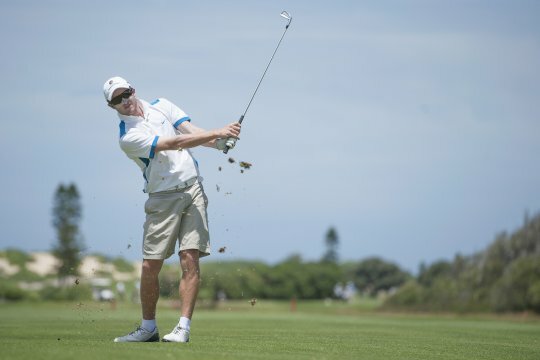 Brett Drewitt withstood fickle and challenging conditions during the third round of the Lake Macquarie Amateur to head into the final round with a share of the lead at 9-under-par along with New Zealand’s Josh Munn and England’s Nathan Kimsey. 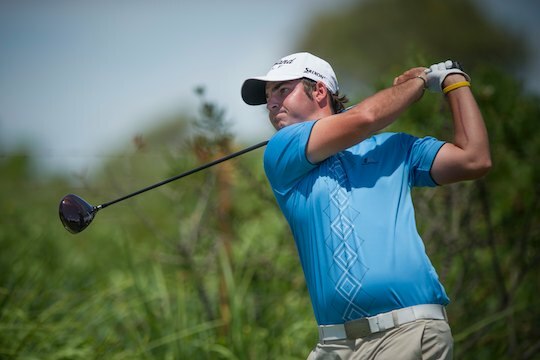 “I’m happy with today’s result,” said Drewitt, the reigning NSW Amateur champion. Cameron Smith, the newly crowned Australian Amateur champion, sits just a stroke behind the leaders after 3-under-par third round to be at 8-under. “I’m looking forward to the challenge,” says Smith. Viraat Badhwar, winner of the Master of the Amateurs two weeks ago at Royal Melbourne, fired the day’s low round with an impressive 66 to move into fifth place at 6-under, two ahead of James White and Brady Watt. Taylor MacDonald and New Zealand’s Sam An share 8th position at 3-under, with Compton Pikari and Garrick Porteous rounding out the top-10. A win would be timely for Drewitt. This week the world number 37 has held the lead since scorching the Belmont links layout with an opening round course record 63 on Thursday. “I’m feeling good,” says Drewitt. At just over 6000 metres, Belmont is not overly long and players have the luxury to be able to ‘bomb’ their drives on the open links layout. Yet when it blows, as is predicted for tomorrow’s final round, this classic links layout will show its teeth. “A lot will depend upon the conditions as to how I will attack the final round,” says Smith. Drewitt remains ever the optimist. He knows it will be tough, especially with the in-form Cameron Smith nipping at his tail. Yet years playing main amateur golf around the world has prepared Drewitt for final day encounters and he’s fully aware of what’s ahead. “I am just holding on in there and hopefully the result will follow,” says Drewitt.